BlazBlue Cross Tag Battle Special Edition gets North American release date!! NEW Kingdom Heart 3 trailer throws back to the good ol’ days!! Anime and manga fans know that the Record of Lodoss War is one of the best fantasy series ever created, using plot devices inspired by Dungeons and Dragons. Since 1988, Record of Lodoss War has had multiple manga, anime and computer game adaptations, several of which have been translated into English. To celebrate the 30th Anniversary, Kodansha plans to re-release the Record of Lodoss War table top RPG game and a new light novel written by Ryo Mizuno, writer of the original light novel series, and illustrated by Hidari. A side-scrolling video game based on the fantasy series is being developed by “team ladybug.” From the behind-the-scenes video, the game will be 2D and clearly inspired by Koji Isaragi’s “Castlevania” series. Since it is in the early stages of development, there is no date for the game’s release. 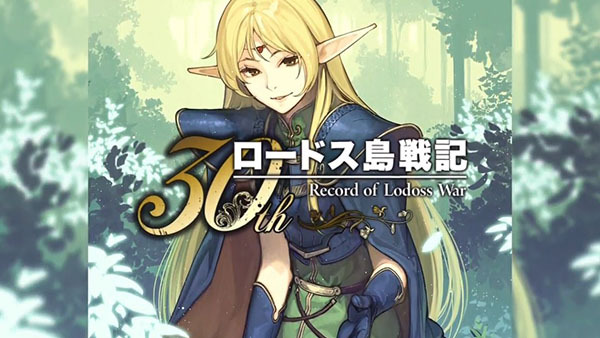 However, the new Record of Lodoss War light novel is scheduled the launch in Japan next winter. The 30th Anniversary table top game is set for Fall 2019.